2019 Seat School with Elaine Ward and Barbara Sloat at Kirkridge Farm New! 2017 Two Days with Todd Owens , I organized and participated. 2017 Elaine Ward Dressage Lesson of which I hope to be the first of many. 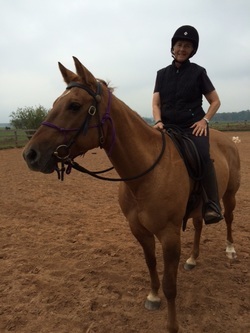 2015 One Day With Pat and Linda, Private Lesson with Pat and Linda - audited. Owens, Don and Randee Halladay, and John and Kathy Barr. 2015 - The Horse Course, Introduction to Basic Care and Management, University of Florida, via Coursera.